In the Philippines, January 1st is a bigger event and most people spend real money on the celebrations. Chinese New Year, as we call it, is a special holiday for the Chinese community in the country. We mean no offense to Koreans when we mention “Chinese New Year” since in the Philippines it is the Chinese who celebrate the holiday. Although it is more PC to say “lunar new year” since the Koreans and Vietnamese celebrate it, too. In South Korea, the bigger New Year holiday is based on the lunar calendar and the date changes every year. January 1st is also recognized as the beginning of the year but it is not an event as big as ì„¤ë‚ (“Seol-nal” as Romanized, “Seollal” as pronounced). People in the Philippines begin their new year countdown before the clock strikes 12 while the rituals for “Seollal” start in the morning. Preparations begin at 6 o’clock and by 8 o’clock, everything is set for the celebration. In both countries, families gather together at home. 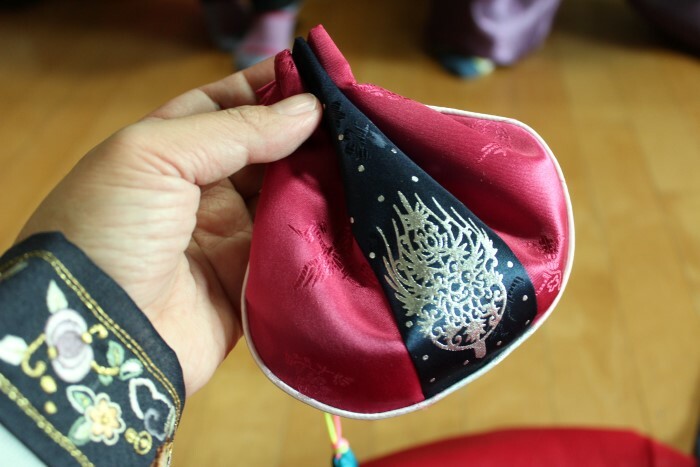 In South Korea, “Chuseok” or Korean thanksgiving and “Seollal” are holidays celebrated at a family’s í°ì§‘ (keun jib) or the home of the clan/family head. The more relaxed tradition in the Philippines mean that each family can choose what to prepare for the event, but it’s a must to serve noodles for long life (Filipino “pancit” or spaghetti) and round fruits for prosperity. Ham, Edam cheese, fruit salad and “lechon” (roast chicken or pig) are Filipino “fiesta” staples that many Filipinos serve in almost every party. “Media Noche” or the midnight feast is eaten after 12 o’clock. 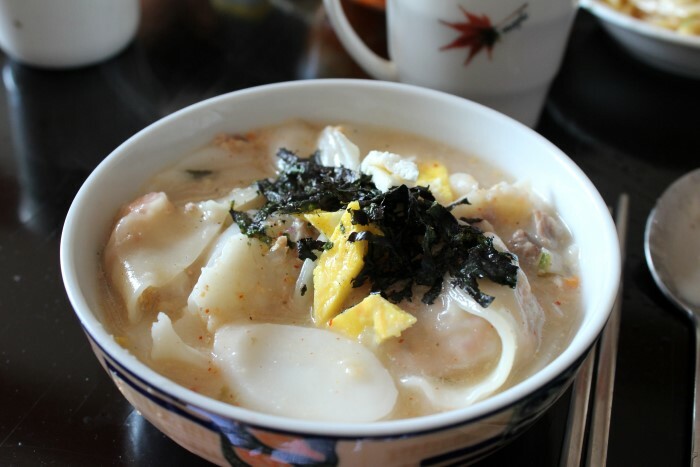 In South Korea, ë–¡êµ­ (tteok guk) or “rice cake” soup is traditionally served during this time. The rice cake used for the soup is thinly sliced, oval and a bright white in color, just like snow, to symbolize a bright, new year. It is said that one should eat this to add one year in age. Aside from ë–¡êµ­, food is also prepared for the ì°¨ë¡€ (cha-rye) or the ancestral rite. In the Philippines, we wear clothes that have polka dots (or at least I did until I was ten) or we wear something red (believed to be a lucky color). In Korea, we wear the traditional Korean clothing called “hanbok”. Filipinos spend real money on pyrotechnic devices. The more popular ones are “watusi” or dancing firecrackers, sparklers, Roman candle, fountain, whistle bomb and Judas’ belt. It is believed that the loud noise they make drives bad luck away. Kids also make noise with trumpets while the elderly use their pots like a gong. Everyone in the neighborhood goes out to participate or watch the fireworks. Thereafter, the feast begins! 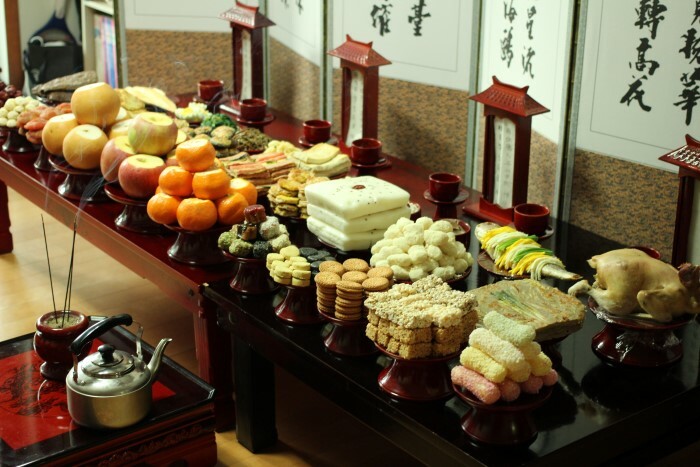 The first thing Koreans do is the ancestral rite, wherein their ancestors are remembered by offering food, burning incense and bowing. It is a solemn ceremony that most members of the family should participate in. In some families, only the men in the family need to bow. The ritual last for about 15-30 minutes and afterwards, the younger ones bow to their elderly and greet them a prosperous new year and good health. Then everyone eats “rice cake soup”. In the Philippines, gifts are given on Christmas day but we also give crisp paper bills to children. In South Korea, children receive their “ìƒˆë±ƒ ëˆ” (sae bae don) after bowing to greet the elderly. The amount depends on the age of the kids. We usually give 20,000 won to kids in elementary; 30,000 won to a middle school child and 50,000 won to a high school student. It also depends on how much the giver can afford. Adults also exchange practical gifts – food, towels, socks – with their friends or colleagues at work. In the Philippines, we say “Manigong Bagong Taon” (Prosperous New Year) or simply “Happy New Year” on January 1st, while we greet “Kung hei fat choy” on Chinese new year. The mood of the New Year festivities in the Philippines is generally relaxed and informal, while in Korea it is more ceremonial and rich in traditions handed down for generations. I enjoy both celebrations though as I get to be with my family on those special days.